LLB BA LLM DipEd Vic Marles is the CEO of Trust for Nature, a statutory entity established by the Victorian Conservation Trust Act 1972 working in the area of private land conservation. Prior to that, Vic was the first Legal Services Commissioner and CEO of the Legal Services Board, a position she held for four years. Vic was the Deputy Telecommunications Industry Ombudsman from 2002 to 2005. She worked as a lawyer with the Communications Law Centre from 1993 to 2002, and was the Deputy Director and manager of the Melbourne office. She was a legal member of the Guardianship Board and Guardianship List of VCAT for ten years, finishing in 2002. Vic has worked as a solicitor at Corrs and Holding Redlich. Vic has held a number of board and council positions. She has been a member of the Consumers Federation of Australia Council and the TIO Council. She chaired the board of Circus Oz for fourteen years until 2007. She has been a member of the Board of the Victorian Arts Centre, the Victorian Women's Trust, the Australian Community Support Organisation and the Melbourne Writers Festival. She chaired Vic Health's Community Arts Participation Scheme program for ten years, finishing in 2007. BA LLB John is a principal of the consumer law firm Berrill & Watson practising in superannuation, insurance & financial advice claims & disputes & is also a volunteer lawyer at Social Security Rights Victoria & the Mental Health Legal Centre. MA in Social Policy; Grad Dip in Social Science - Community Development; BSc Barbara is the director of Barbara Romeril Consulting, a specialist professional consulting service supporting leadership in community service. She was former Executive Director of Community Child Care and has over twenty years of experience working in community services, including five years as Executive Director of the peak body for financial counselling and consumer support services in Victoria. She has worked in federal and state government, large voluntary organisations and community-based associations, and has broad experience in community development, social policy, needs analysis, service development, implementation and review. Barbara also has broad experience in governance of community organisations. She was a consumer director on the Board of the Energy and Water Ombudsman of Victoria Inc for five years. She was appointed by the Premier to the Victorian Relief Committee and has held the position of Vice-President of the Victorian Council of Social Services. Cert IV Training and Assessment; Grad Cert Finance; BBus (Accounting) Roslyn's background is in corporate finance and both business and personal banking, having worked for two of the major banks for most of her career. 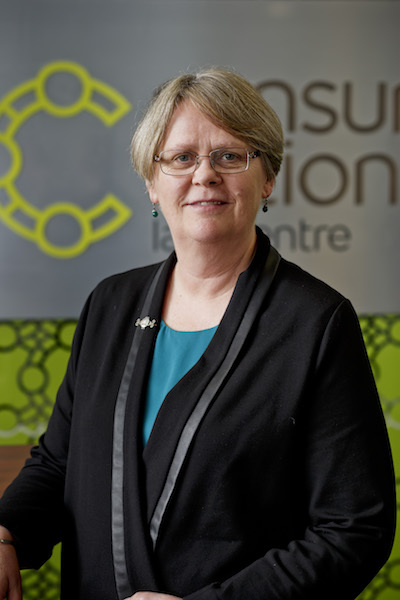 She currently presents small business seminars and workshops for the Victorian Government Department of Innovation, Industry and Regional Development as well as other business training. Roslyn was previously on the management committee of CCLS, one of the two predecessor organisations of Consumer Action, and has a good appreciation and regard for the substantial body of policy and advocacy work that the current management and staff continue to successfully build upon. LLB David is CEO of Shepparton-based FamilyCare and has held a variety of roles in the community sector. From 1995 to 2008 he was employed by Care Inc Financial Counselling Service in the ACT, initially as a consumer lawyer, then as the agency’s Director from mid-2000. From April 2003 to November 2008 David was the Consumer Member of the Australian Code of Banking Practice Compliance Monitoring Committee. Prior to appointment with FamilyCare David was Civil Practice Manager with Legal Aid ACT. He has also spent periods as a Visiting Fellow at the Australian National University and a Senior Manager with the Australian Securities and Investments Commission. David has held a number of representative roles, including terms as Chair of both the Consumers Federation of Australia and the Australian Financial Counselling and Credit Reform Association (now Financial Counselling Australia). Along with his current position at FamilyCare, David is a Trustee of the Jan Pentland Foundation, a member of the Law Help Assessment Panel for the Office of the Registrar of Indigenous Corporations and participates in a number of local and regional networks and committees. BBus (Banking and Finance) David is the former General Manager, Broker Operations at NAB, and has extensive experience in the areas of credit and debt. He is currently CEO of Way Forward Debt Solutions Ltd, a not for profit established by the four major banks, ABA and Financial Counselling Australia with a focus on assisting people in hardship with debts across multiple organisations. LLB/LLM Philip is an expert in consumer policy, insight and regulation in the UK and Australia. He is currently leading the Australian Energy Regulator’s strategic transformation program, focused on structure, governance and ways of working, following a year’s secondment from the British energy regulator Ofgem to the Australian Competition and Consumer Commission. He was previously Consumer & Sustainability Partner at Ofgem where his responsibilities included consumer protection, redress and vulnerability. He held senior roles in three UK consumer bodies, including being Deputy Chief Executive at the National Consumer Council and Consumer Focus, and sat on numerous British advisory bodies, including chairing the Food Standards Agency advisory committee on consumer engagement and being a member of the Civil Aviation Authority and Southern Water consumer panels. He was a member of the UK government’s independent Regulatory Policy Committee. He has also worked for the global management consultancy Accenture, where he was an Associate Partner, and a research agency.